The hugely anticipated magnum opus sci-fi film, Shankar’s 2.0, sequel of Enthiran is progressing at a hectic pace and takes a break before next schedule. We have already reported that Superstar Rajinikanth and Akshay Kumar shot for some high-octane action sequence at a stadium in Delhi. Now, the latest is that the scenes formed the climax of the film and has been completed now. The team will start its next schedule in another 10 days. A huge set has been erected at the EVP Theme Park in Chennai for the third schedule. These scenes will have Rajinikanth and Amy Jackson. There are also planning to erect a huge set on ECR to shoot a crucial sequence. Post this, the team is likely to fly to Bolivia for another schedule. Directed by Shankar, 2.0 is one of India's costliest film with a budget of 350 Cr. Lyca is bankrolling the project and Amy Jackson plays the leading lady. 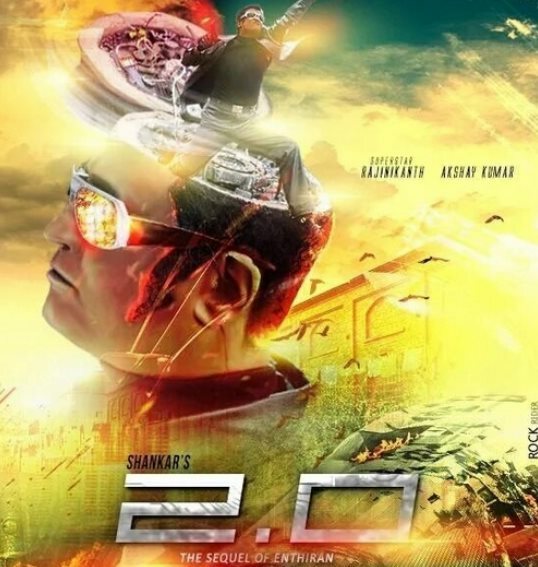 2.0 is an upcoming 2017 Indian science fiction film written and directed by S. Shankar, co-written by B. Jeyamohan and produced by Subaskaran Allirajah, founder of London-based Lyca Productions. A spiritual successor to the 2010 Tamil film Enthiran , the film will feature Rajinikanth reprising the roles of Dr. Vaseegaran and Chitti, alongside Akshay Kumar and Amy Jackson. The soundtrack album will be composed by A. R. Rahman while cinematography, editing and production design are handled by Nirav Shah, Anthony and T. Muthuraj respectively. The film will be released in three langauges- Tamil, Hindi and Telugu. When will shankar's 2.0 release ?